27th September 2019 MOT + FULL BMW/BMW SPECIALIST SERVICE HISTORY (6 SERVICES last@ 17,805 miles) + 12 MONTHS AA BREAKDOWN COVER + 3 MONTHS NATIONWIDE MECHANICAL BREAKDOWN WARRANTY+ EXPERIAN HPI CHECKED + FULLY DETAILED INSIDE AND OUT. 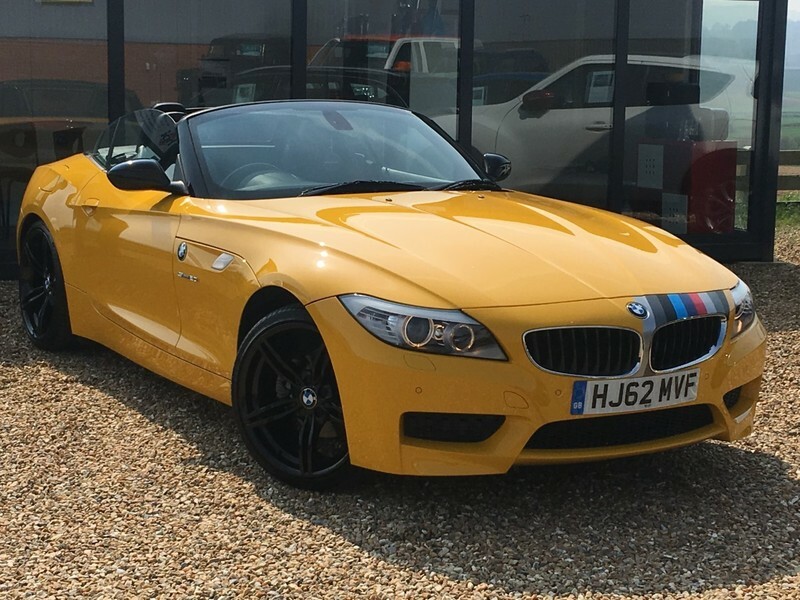 Reyland's of Seavington are extremely proud to offer you such a Rare and Special BMW Z4, this particular car is S DRIVE 2.0i M SPORT with "DESIGN PURE IMPULSE" package finished in "ATACAMA YELLOW". This Z4 has only just covered over 18,000 miles and was a DEMO car for WOOD BMW of Bournemouth and then owned and cherished by 1 Private Owner since. This Individual Design Pure Impulse edition comes with exclusive components with the equipment package are the black Alcantara / Nappa leather sports seats Circuit with yellow colour accents, a black Alcantara surface dÃ©cor with a yellow contrast seam on the front seat passenger side as well as high-grade BMW Individual interior trim strips in a black piano lacquer finish.The sporting ambience is complemented by an anthracite BMW Individual roof lining, yellow Alcantara inserts in the door linings, the lower section of the instrument panel, The arm rests on the centre console and in the doors are covered with high-quality black Nappa leather. The body colour plain Atacama Yellow is available exclusively for the Design Pure Impulse equipment package. The Specification of this Z4 includes front and rear parking sensors, 19" M Sport alloy wheels, heated seats, start/stop, dual climate control, air conditioning, BMW professional radio/cd, SUB WOOFER, sport/sport+/comfort driving modes, cruise control and electric mirrors/windows.